Hong Kong SAR is striving to be a hub for Fintech innovation. As one of Asia’s global financial hubs, it is not so far off from attaining this goal. The city has being working towards this by becoming a welcoming host for start-ups. By inviting innovative companies, and supporting their mission, Hong Kong will be able to capitalise on the Fintech market as it is rapidly expanding. Hong Kong’s Cyberport is a region which has hosted about 60 Fintech start-ups since its inception. Out of these 60, Cyberport is providing support to 7 Fintech start-ups for their accelerator programme. In collaboration with Stanford University, Cyberport launched thee Cyberport University Partnership Programme. Through this programme they hope to train future entrepreneurs in the area of Fintech. So far, the programme has created new opportunities for 50 Hong Kong university students. These students participated in a week-long Fintech entrepreneurship training course at the Stanford campus. This cross-university collaboration is expected to provide a variety of chances for students to get more engaged with the Fintech community. In a recent speech at an event celebrating Fintech innovation, the HKSAR Financial Secretary, Mr John C Tsang, spoke on this matter. He emphasised the determined spirit to drive fintech innovation in Hong Kong. “According to a recent Goldman Sachs report, an estimated US$4.7 trillion of revenue from traditional financial services companies is up for grabs by technology-enabled newcomers. FinTech&apos;s potential, in short, runs right off the charts right from the beginning,” Mr Tsang stated. 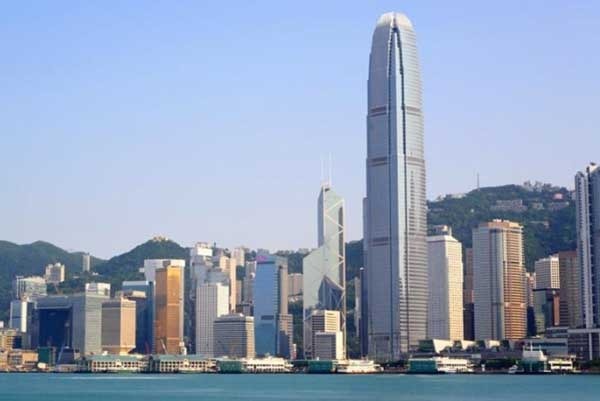 Since April of this year, the Steering Group on Financial Technologies has been looking at economic and business opportunities for HKSAR to take advantage of. The group includes members from industry, academia, research and development and regulatory bodies. Their aim is to drive Hong Kong towards becoming a Fintech hub. The Steering Group is developing recommendations to be presented within the next few months. With Hong Kong driving further Fintech innovation, it is tapping into a rapidly growing market . As a forefront leader in Fintech, Hong Kong will also have the opportunity to define the scope of Fintech and have first claim to investments. Thus driving economic growth for the region.